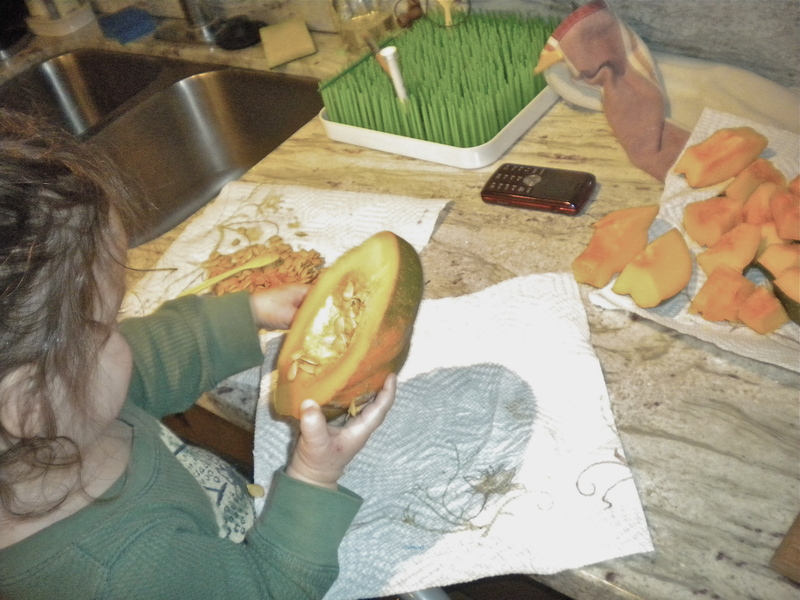 Apparently for Freida, the most exciting and cherished activity in our house at the moment is working in the kitchen. She's been up at the counter-top with me all month long; I can't even scramble an egg without her tugging at the step-stool! 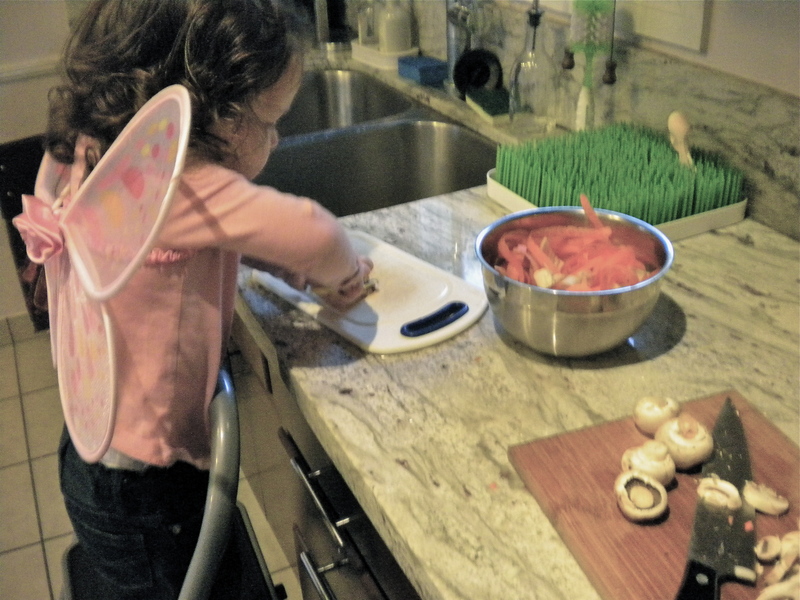 At first I was really annoyed at myself for letting her join me so much culinarily - I was annoyed for not having foreseen that making dinner would take double the time with her up there in the action. 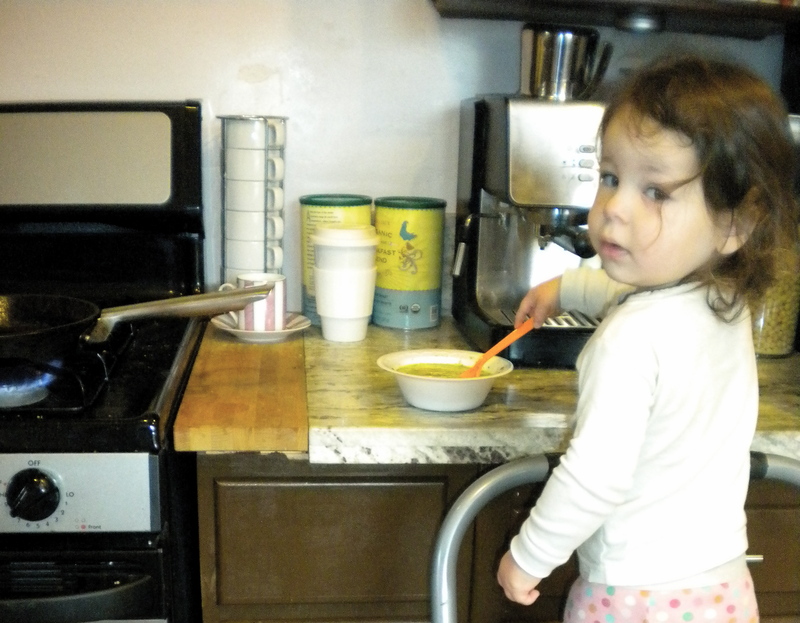 But after a while I realized that not only is all the kitchen exploration a great sensory, tactile, and fine-motor skill activity, but that it is actually quite beneficial having her cook with me. Believe it or not, I can swear that having a kid help cook the food will up the odds of them actually consuming it by a significant amount! 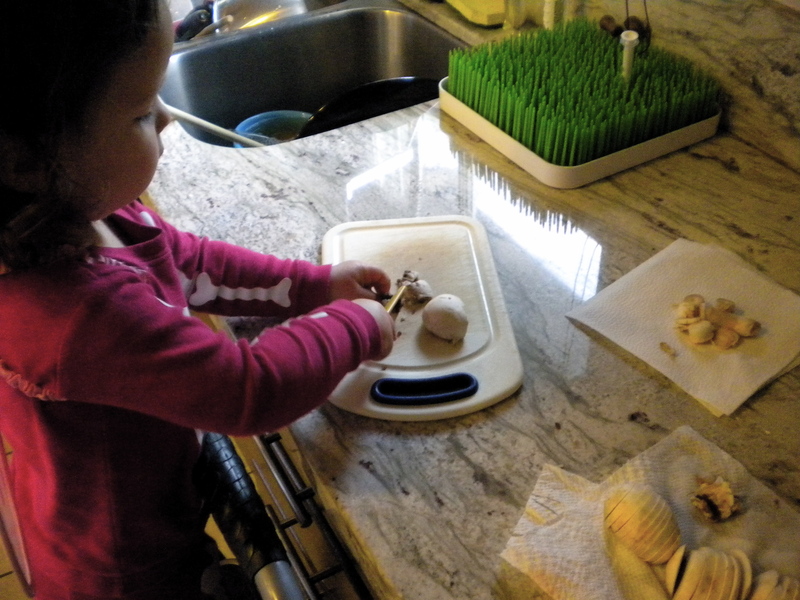 When she was put in charge of wiping the dirt off the fresh mushrooms, she not only tried them at dinnertime; but liked them! After rinsing the beans and barley together in a colander, she spit out the white bean from her soup as usual, but when I said "it's the beans you washed, remember? ", she gave it another go! I'm honestly quite shocked at how much we both benefit from our little cooking sessions. Gone are the days of finding some form of entertainment for her so that I can dinner in the over... preparing, assembling, and cooking dinner is the entertainment! And she has turned out to be quite the useful sous chef!! Our only issue was on the chopping block: the knife. The extent of her frustration at smashed tomatos and crumbling mushrooms got me looking into other options. A bit of searching landed me on a company called Curious Chef. 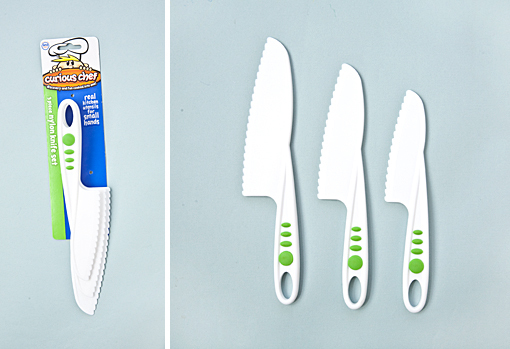 They've created a line of very well-thought-out kitchen tools for kids. 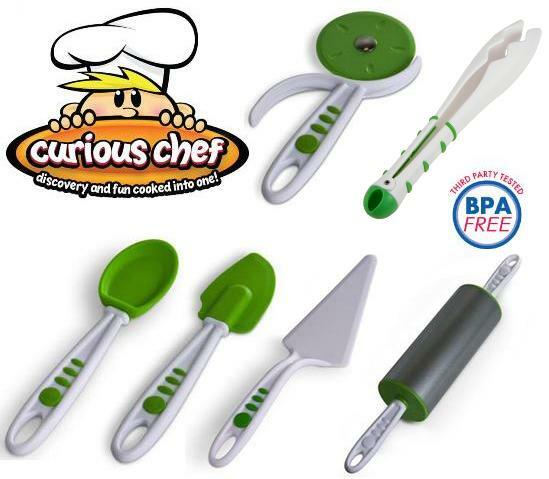 With a few recurring features, such as rubber grips on the handles and streamlined safety precautions, this line of tools really seems to deliver; geared for a broad range of jr. chefs, no matter the kitchen experience (or lack thereof). I'll definitely be ordering some of their serrated knives. They are officially safe for children 5 years and up, but I think I'm going to try these out with Freida (while supervising her, of course! ), though they may be a little too big for her tiny little hands... I'll keep you posted on how they work out for us in our "test kitchen".